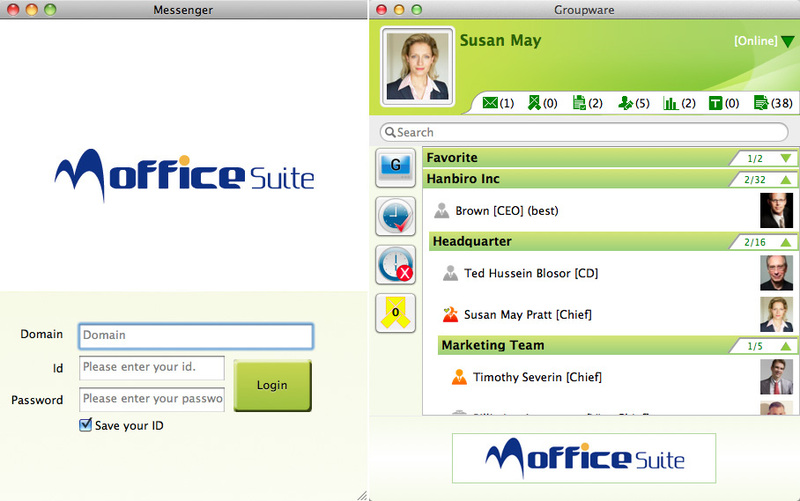 Login screen, messenger top titles, and bottom image can be replaced with the phrase and image of your company. Go directly to the other members' PC and control it. Windows PC can also be controlled. Send to the other side by selecting the desired area on a PC screen. 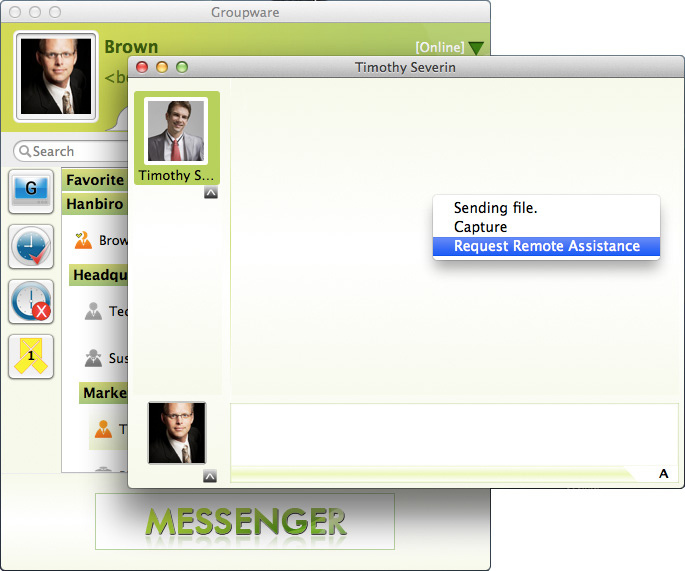 In captured screen, it is possible to draw a picture then send it.